Posted on August 17,2018 by Dave Smith. If you’ve considered having a wooden fence installed on your property, then you’re likely to have a good idea of the type of fencing you want installed and how you want the fence to look overall. But have you considered that there may be some added extras that you can install as part of your fencing project which can really take the finish to another level? Like anything, attention to detail is key with fence installation. Small additions can go a long way towards raising the overall look of your fence simply from smart to super! We’d always advise staining or sealing your wooden fence as it will help to protect it against the elements. However, don’t feel like you have to go for a green or brown stain; if you’d rather, opt for a beach hut blue or a chic French grey as your choice of paint. Either way, a colour will really lift the fencing project. Adding a lattice or trellis topper to your fence will not only add interest, but will allow you to grow climbing plants against it. Furthermore, if you want a high privacy fence but still want some daylight to freely enter your garden and not feel too enclosed by the fence, then trellis or lattice on top of a high fence is a great compromise. It lets the light through but still allows some privacy. If you’d rather not have the rough cut finish to the top of your fence, you can purchase cap tops for the length of the fencing and also for the top of fence posts. Along the length of the fencing, you can choose either pointed or a flat edge topper. On top of fence posts, you can go a little more decorative if you like, and have something similar to what you’d normally find on top of your banister’s newel post. This means balls or arrow tops, amongst other designs, depending on what suits your fencing style! Smart wooden gates are a logical addition to any fencing project. There’s no point having a beautiful new fence installed if you’re going to keep an old garden gate which has seen better days. Replace it with a good quality timber gate to really finish off the fencing project. If you’re considering a fencing project, do it in style. Contact D&G Fencing today to see how you could really lift your fence project. 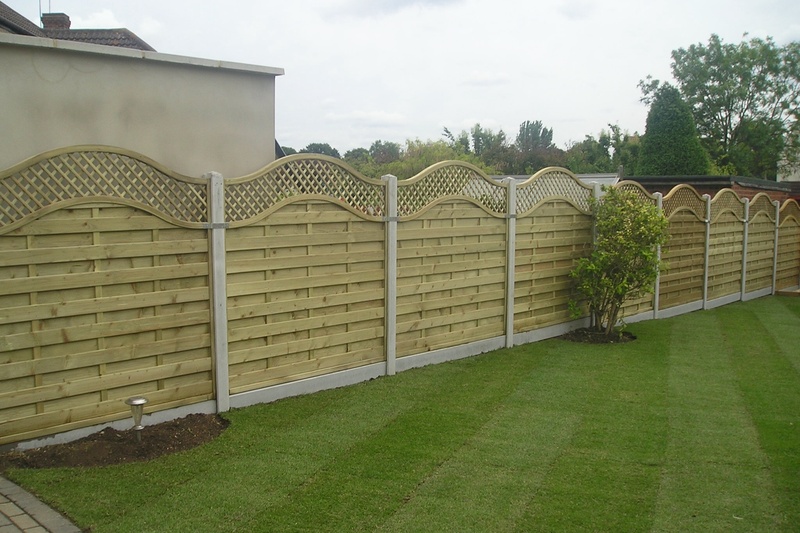 We have experience of fencing gardens in Brentwood, Upminster, Orsett and Hornchurch, to ensure that the finish on your fencing is top notch.